After rebounding from level of 61.8%, Euro started growing up. At H4 chart we can see, that bulls have several intermediate fibo-levels in front of them, where price may start local corrections. 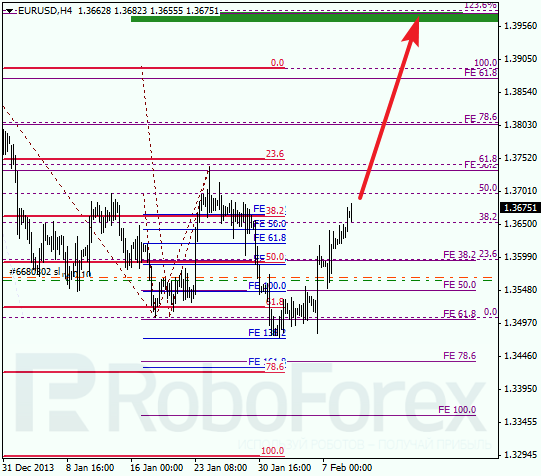 Main target is near several upper fibo-levels at 1.3970. Market moved very close to level of 78.6%. Possibly, price may break this level during the day and then continue growing up. 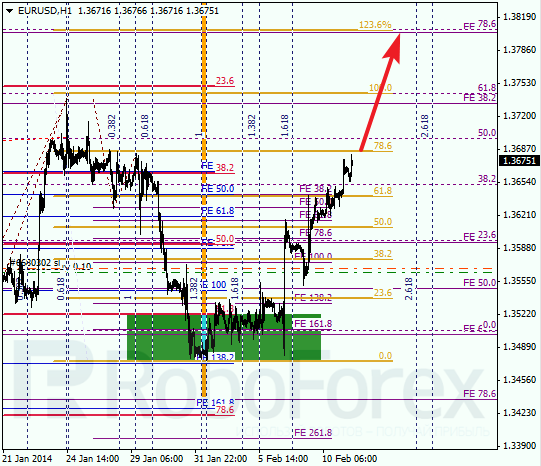 Closest target for bulls is near several fibo-levels at 1.3740. Franc continues moving downwards, so I’ve decided to move stop on my sell orders into the black. Right now, market got very close to level of 61.8%. If bears break it, pair will continue falling down towards level of 78.6%. 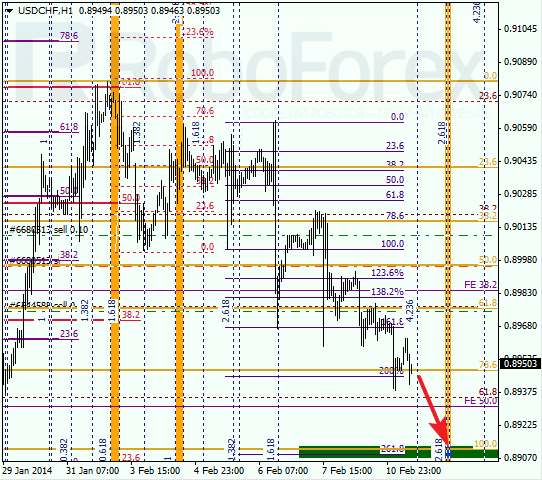 At H1 chart, closest target is at level of 0.8910, which may later become a starting point of new short-term correction. According to analysis of temporary fibo-zones, price may reach its target levels during Tuesday.